We are an environmental technology company involved in research, development and manufacturing of products that save water and energy. Our original research into the spreading of monolayer films led to products able to conserve up to 45% of water loss from open water storage and transport systems. Furthermore, modifications of the same technology allow our swimming pool products to save up to 45% of a pool's energy use on top of the water savings. In 1997, Dan O’Brien, President of Flexible Solutions, invented a flexible bag dispensing system that made it possible to deploy a liquid pool blanket for a whole month by simply cutting off a portion and placing the flexible container in the pool. Mr. O’Brien filed a patent application in the U.S. for his unique system in 1998 and it was issued in 2000. It is assigned to Flexible Solutions. From 1998 until February 2004, Flexible Solutions manufactured their invention for Sunsolar Energy Technologies, which was sold under Sunsolar’s trade-mark Tropical Fish®*. 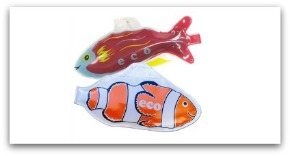 On February 29th 2004, Flexible Solutions discontinued manufacture of Tropical Fish®* for Sunsolar Energy Technologies, and started making and selling a new and improved version of the invention, under Flexible Solutions’ own brand, Ecosavr™. The name Ecosavr™ was chosen as being appropriate for the product’s purpose – Eco for Ecologically friendly and savr for the water, energy and time it saves for the pool owner. The liquid solar cover contained in Ecosavr™ is Heatsavr™, Flexible Solutions’ commercial liquid pool cover. Heatsavr™ has been on the market for  years and led directly to the invention of Ecosavr™ in 1998. The two products have  years of combined market experience. Flexible Solutions is the only liquid blanket manufacturer with any published safety and efficacy data. Flexible Solutions, Heatsavr™ and Ecosavr™ are the “World Leaders” for liquid blankets on indoor pools and liquid solar covers for outdoor pools. Would you like to learn more about Flexible Solutions, as a publicly traded company? Jason Bloom is VP of Corporate Communications and in charge of Investor Relations for the company. Use the form below to request an Investor package by mail, or to contact Jason Bloom with other Investor Relations questions and comments.